How to Write Art Analysis Essays. Most of the time, there is more to a painting than what the eyes perceive. Sure, the entire frame may tell a story right off the bat, but there are meanings that oftentimes lie deep beneath every artwork. To this end, analyzing the painting can be helpful to decipher its secrets. But how do you dig deeper in the first place? 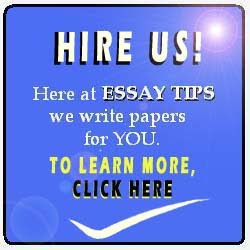 For this topic, we will look into how to write art analysis essays. As with most essays, writing an art analysis requires, first and foremost, introducing the artwork. This means that you have to tell your reader who the artist is, how large or small the artwork is, when it was made, how it was created, and where it is currently located, among others. There are facts you will need to mention, but simply write about the basic information. In your art analysis essay, you will also need to write about your general impression of the artwork. In other words, describe what the artwork is trying to say at first glance. For example, write that the Mona Lisa painting is an oil portrait on canvas of a lady imposed against an imbalanced backdrop of mountains and bodies of water. At this point of your art analysis essay, your task is to provide an overview of the artwork, as though you are offering your first impressions. Now go a little deeper. Talk about, say, the colors used in the painting. Describe and explain how it creates a certain mood. Write about how the lighting evokes particular feelings. Tell your reader about how the color and lighting affect the subject of the artwork. Say why a particular color was chosen to illustrate a part of the painting. Try to connect the preferences for specific colors with the story that the artwork is trying to impart. In your art analysis essay, discussing the historical and social context of the artwork is indispensable. Provide the social events that inspired the artwork, or the prevailing circumstances when it was made. Tell your reader about the cultural and political inspirations behind the painting. To do this, you may have to scrutinize the culture and politics of the artist. One last thing: use a theoretical framework to discuss further your chosen artwork. For example, examine the sociological angles of a painting by using Marxism as a lens. 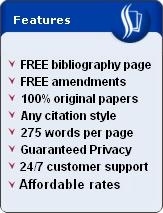 You may also use functionalism, structuralism, modernism, or post-modernism, among others. Whatever the case may be, always use a theory to write an art analysis essay. It can help you explore further the unexplained, and sometimes unexpected, side to an artwork.